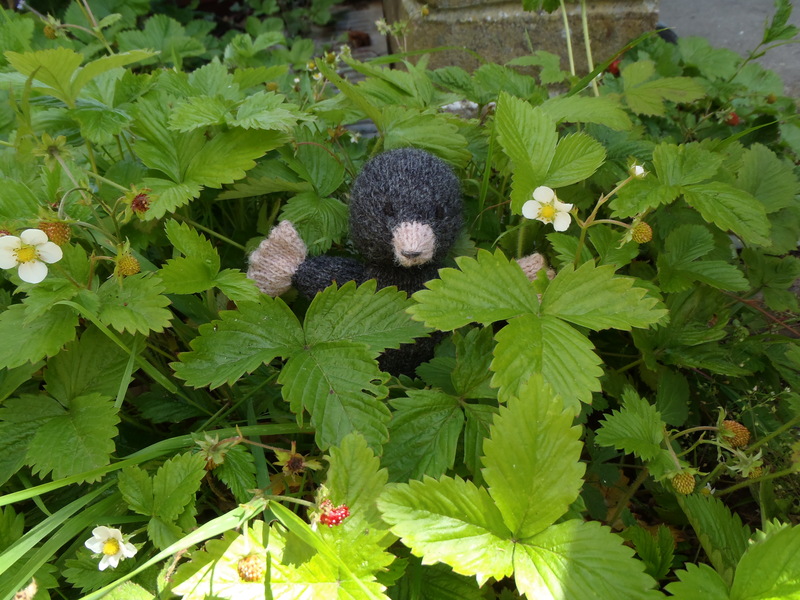 They used to come in three sizes but we have decided that the smallest bears are just too much work for Kim (our wonderful teddy-maker extraordinaire). 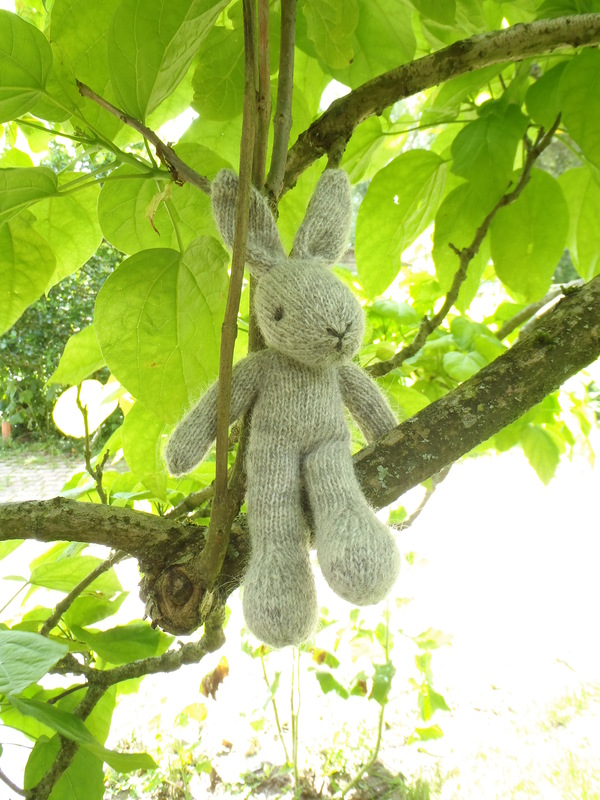 She has been splitting the yarn into a single before she even starts to knit and then they are very fiddly….so only the medium and large bears now. If you have one they really will be a collectors item! 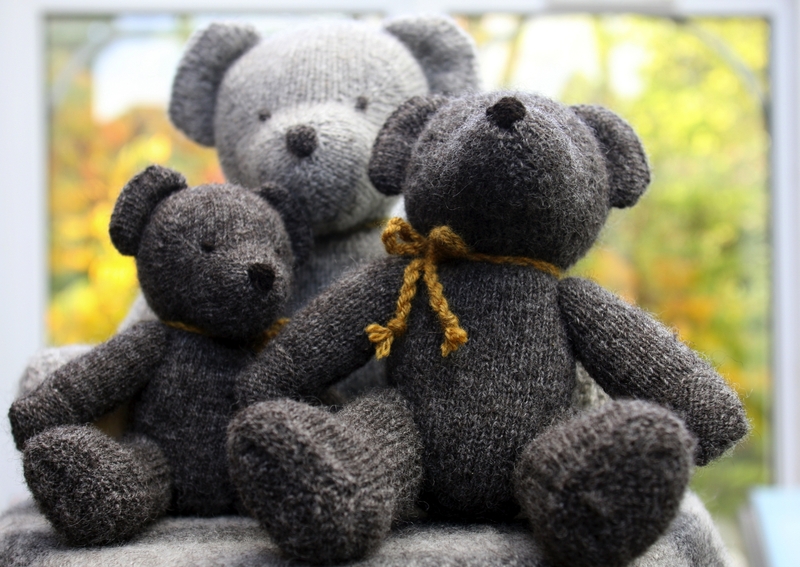 Each teddy is unique and comes with a special certificate and an individual number. Each teddy takes Kim about ten hours to knit! 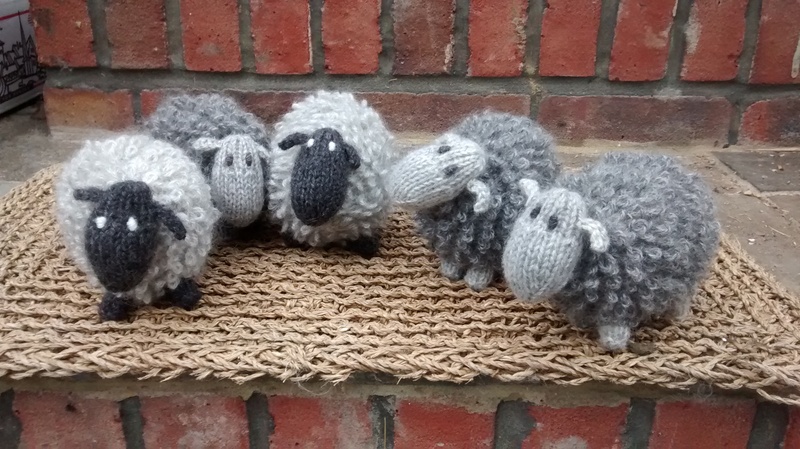 Kim’s latest range includes adorable knitted sheep and tea cosies, which everybody puts straight on their head! 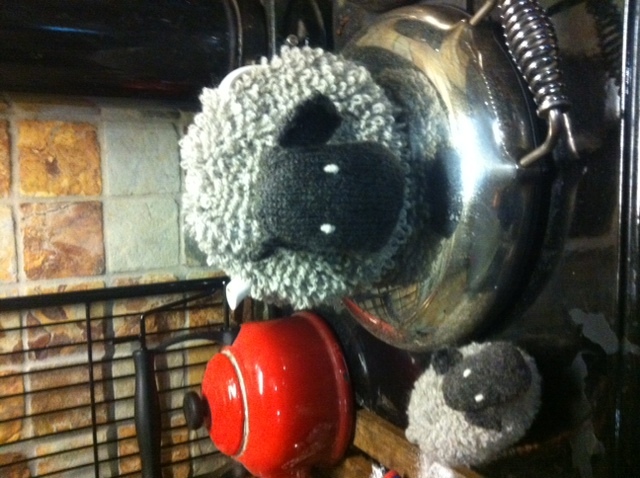 A wooly sheep-cosy – what every tea pot needs! 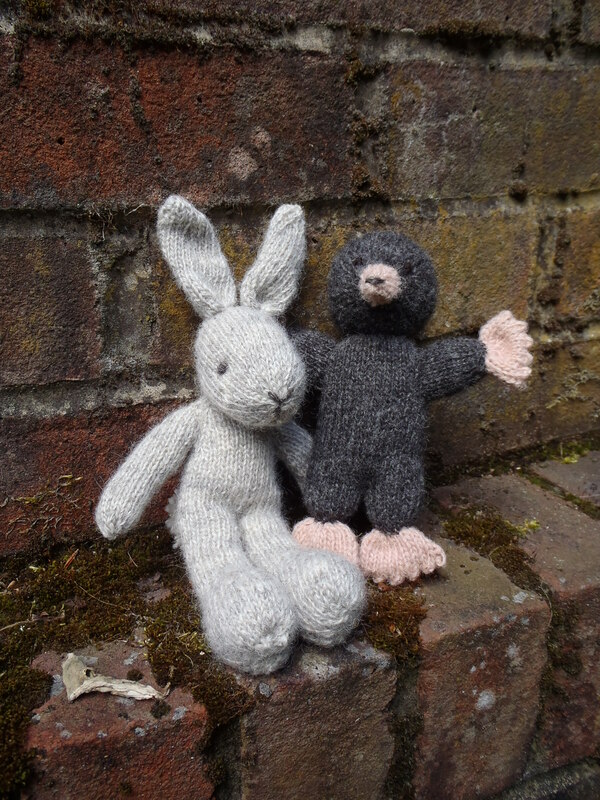 “I saw a caterpillar and it was thiiiiis big”, said Mole to Bunny. What’s this all about? 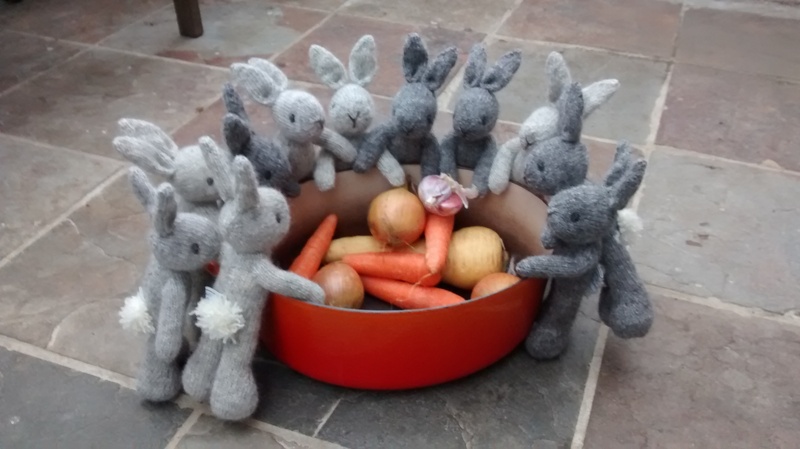 Veg but no meat…. 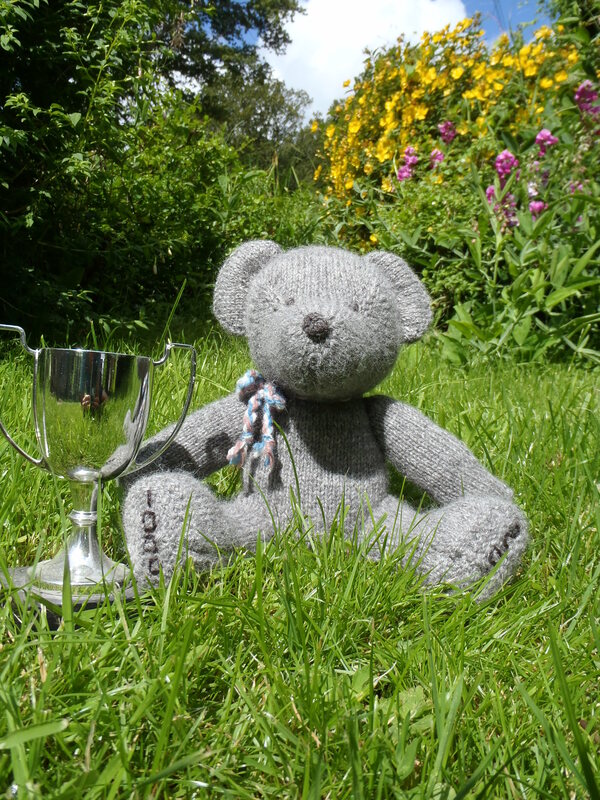 And a very special Teddy…Kim’s 1000th bear! !